While Tel Aviv is a very walkable city, sometimes after a long and difficult day of beaching, shopping, and drinking, you’d just prefer to hop on a bus and head on home. Or perhaps you're adventurous and want to travel outside of the 1 mile radius of your AirBNB or hostel/hotel in search of some of our best restaurants! But between changing lines, Hebrew-only signs on the bus itself and curmudgeonly drivers, riding the bus in Israel can be a daunting task even for seasoned tourists (and even for locals!). Big news! As of January 2019, you will no longer be able to pay for a bus ride in cash. You heard it right, no paying for the bus on the bus. This means you have to come prepared. Bus fare is only accepted through a card called a Rav Kav, and bus drivers no longer have cash with them at all. So what's a “rav kav”, anyway? 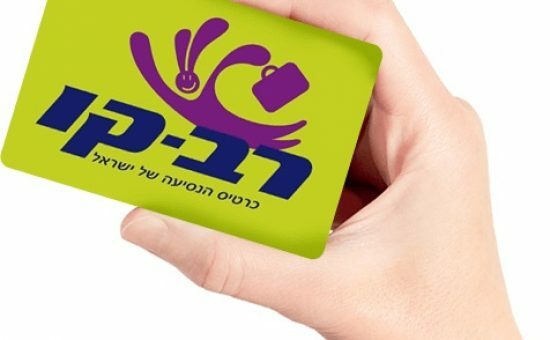 Rav-kav cards are rechargeable, electronic ticketing passes for buses and trains that you can use all over Israel. These little green cards can either be personalized with your name and photo (this also means you can get back money if you lose it!) or anonymous. Once you have a rav kav, you can either load cash, or purchase contracts for certain regions or bus companies. If the ATM looks like this, you can charge your Rav Kav on it. Rav Kav app and website but it is available only in Hebrew and for Android users - sorry, iPhone users. While there are all sorts of deals, including unlimited daily, weekly and monthly passes, for short-term travel, your best bet is just to load a certain amount of money onto your card and travel as you please. As soon as you load payment, you’re good to go! 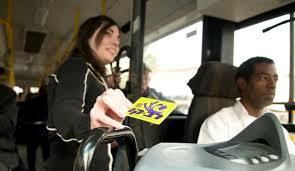 The fare will automatically be deducted from the card when you enter the bus. If you're lucky, you'll even find a payment machine on the back of the bus, allowing you to skip the big cluster at the front of the line next time. The rav kav cards are personal and non-transferable. If you lose your rav kav, you can get a new one at the train stations or service centers listed above. If you are still left with questions about the rav kav, you can always call *8787 from any Israeli cell phone. The transportation website is currently only available in Hebrew. Moovit: this (Israeli!) app is great for getting around all over the country. You can either use it to figure out what bus to take, or if you know the specific line, you can check when your bus will arrive. You can also track the stops with GPS. Google Maps: Google Maps is also very reliable for getting around Israel, but so far is a little less accurate in terms of timing. It is very good at finding the address you need, where Moovit can sometimes take a few tries to get it right. The apps have recently started to list monit sherut options as well - see below. You might have noticed white and yellow minivans speeding along some of Tel Aviv's major streets - these are called monit sherut in Hebrew, and are basically shared taxi vans. You hail these on the street, get on and immediately sit down, and only then do you pass your ride fare up to the driver via the passengers in front of you (more than a few love stories have begun on the sherut). The sherut is cash only and does not accept your Rav Kav card, but prices are similar to the bus. Unlike buses that have set stops, in order to get off, you ask (read: yell) the driver “stop here” along the set route. The #5 Sherut hard at work. 4 - Goes from the Tel Aviv Central Bus Station, along Allenby, along Ben Yehuda, toward Reading Power Plant (and in the opposite direction). 5 - Goes from the Tel Aviv Central Bus Station, along Rothschild Boulevard towards Dizengoff Center, then along Dizengoff Street, Weizmann Street. You can also ride the monit sherut to different cities in Israel, such as Herzliya and Jerusalem, all leaving from next to the Central Bus Station in south Tel Aviv. The great thing about all of these sherut options is that they operate on Shabbat (Friday night through Saturday night) when all other transportation options, except for private taxis, shut down. If you are in Tel Aviv for a short time, your fastest and most certain bet may be to hop in a taxi. As in other cities around the world, hailing a taxi on the street is getting tougher because the taxis are mostly connected to ride hailing apps. The three main English apps for finding taxis in Tel Aviv are Gett, Raxi and Yango. These are great options, especially because the prices are fixed (no more arguing with drivers over fares) and you can usually pay with a credit card through the apps. Uber is on and off in Israel and Lyft and other ride-sharing services haven't made their way to Israel yet. The train system is also reliable and easy to navigate for longer distances. 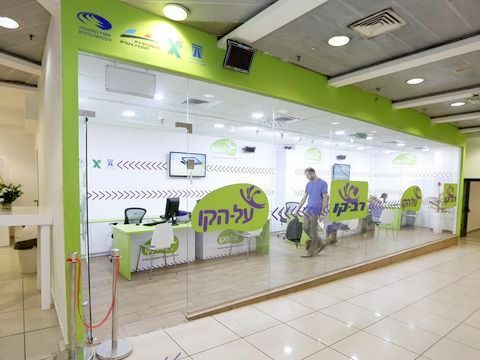 There are four Tel Aviv stations that will easily take you anywhere you need to go - Savidor (also called “Arlozorov” locally), Hashalom (attached to Azrieli mall), Tel Aviv University and Hahagana (next to the Central Bus Station). We highly recommend using the train that goes from Ben Gurion Airport to Tel Aviv - it takes less than 20 minutes and costs around $5. Unfortunately, like other modes of public transportation, this option is not available on Friday evening and Saturday. Other great destinations by train are Haifa, Binyamina, and out to some of the suburbs. Don’t count on using the train to get to Jerusalem (until the speedy train is finished) as it is still faster (and takes you to a more central location) to use the buses. For the train, you don't need a rav kav - you can purchase single-use tickets directly from machines or ticket counters at the station. Check out the Israel Railways website here - all in English! Now that you’re a travel expert, you can go to any of our many restaurant recommendations. Wishing you safe, easy and Delicious travels!